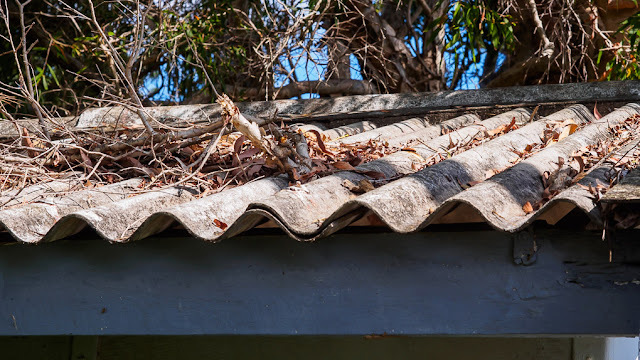 The roof sheeting contains asbestos sadly, because the profile, known as "super six" was a caricature of the standard corrugated iron pattern, exaggerated with a much larger corrugation. It gave many buildings a quite distinct texture which will be lost as asbestos removal programmes make their steady way through the suburbs. We had a few roofs like these with asbestos at our greenhouse nursery,my dad worked with that a little too much. A lot of asbestos seems to have come from here... unfortunately our previous federal government seemed to think it wasn't that serious a problem.